Los Angeles – Irish motivational speaker, Mark Pollock, has regained his ability to walk using a Robotic Exoskeleton and Electrical Spinal Cord Stimulation, developed by UCLA. Pollock, who lost sight 16 years ago, has won the battle over his paralysis after he fell down from a second story window in 2010. After the accident in 2010, physicians told Pollock that it will be hard, if not impossible, to recover the sensation of function below the waist, arguing that his spine had been pierced by broken bones in two places. However, Pollock spent almost four years receiving aggressive rehabilitation treatment before arriving at the University of California, Los Angeles as a part of a study led by Professor V. Reggie Edgerton. Using an Ekso suit, Pollok regained sensation and function below his waist. He first went through five days of electrical stimulation, which was administered to the area of his spine, and then trained for another 2 weeks. The Ekso suit is a battery-powered wearable training exoskeleton designed to help survivors of stroke, spinal cord injury or other injuries to move their legs as they were walking. It captures data that allow the scientists to see how much of the effort is made by the patient and how much is aided by the suit. 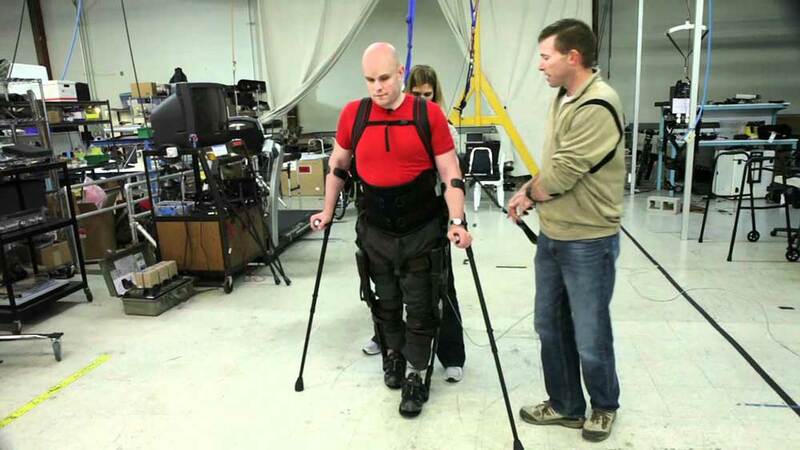 Pollock’s data showed he was able to assist the Ekso suit during stepping. In the world’s largest international society of biomedical engineers, professor Engerton – a neurobiology, neurosurgery, physiology and integrative biology professor who is also the study’s senior author-, explained that the electrical spinal stimulation may be responsible for starting the process that helped Pollock in the task of moving, for electrical stimulation seemed to have reawakened spinal neurons which later recognize sensations and respond.